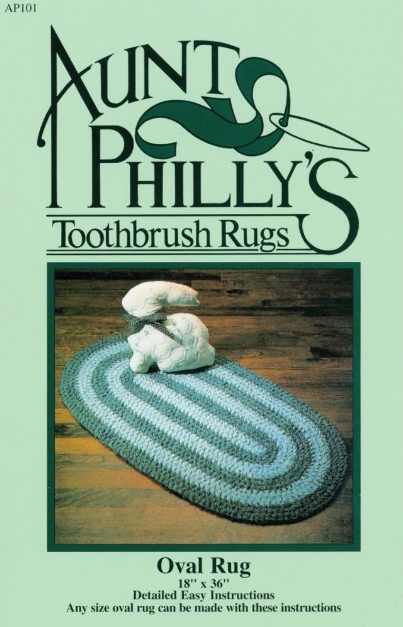 Make your own old-fashioned toothbrush rug with Aunt Philly's easy instructions! You can buy special fabric for these rugs if you like, but used clothing also works well - worn out dresses from your closet, or used jeans from a second hand shop! Recycle anything that you think would look or wear well in a rug! 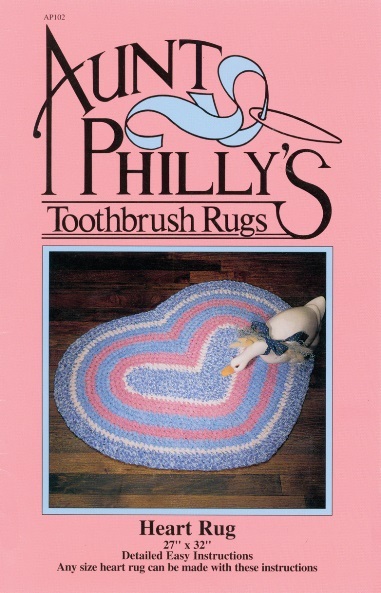 This is the pattern for the oval rug. 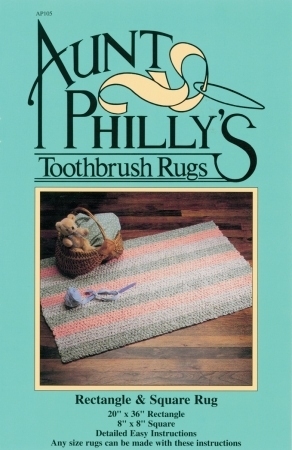 For an 18" x 36" oval rug, you will need 9 yards of fabric, or the equivalent in scraps or re-purposed clothing. 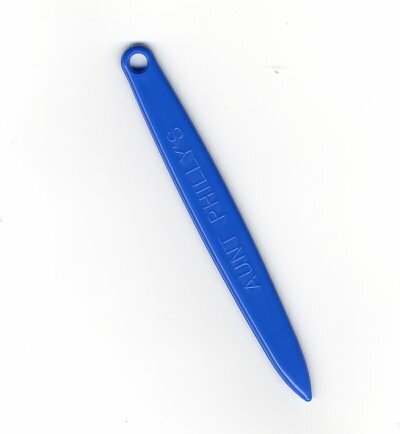 Make your own toothbrush hook like they did 100 years ago out of an old (or new) toothbrush with a hole in the handle, or purchase an 'Aunt Philly's Toothbrush needle, sold separately.